Falak is finally back with his highly anticipated brand new smash hit single entitled “Akhiyan” featuring Arjun!! Falak is finally back with his highly anticipated brand new hit single entitled “Main Ki Kara” featuring Dr Zeus!! 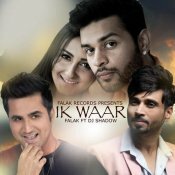 Falak releases his eagerly anticipated brand new hit single entitled “Ik Waar” featuring DJ Shadow! ARE YOU Falak? Contact us to get a featured artist profile page.